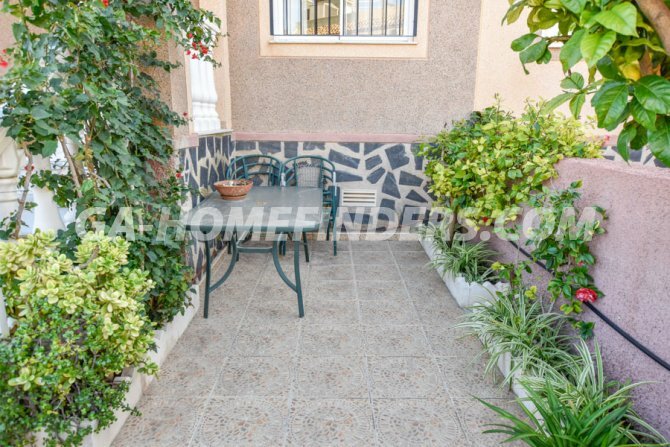 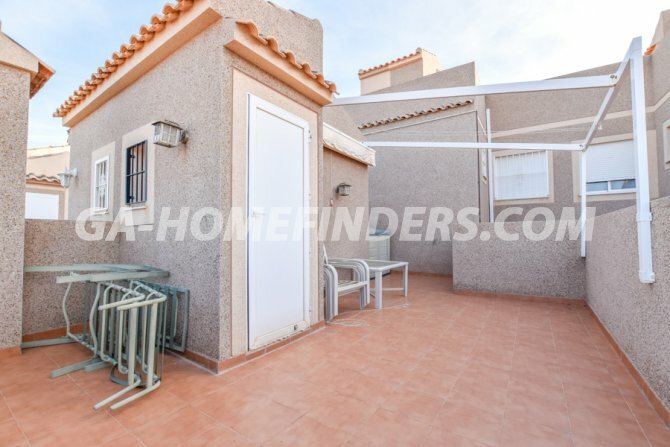 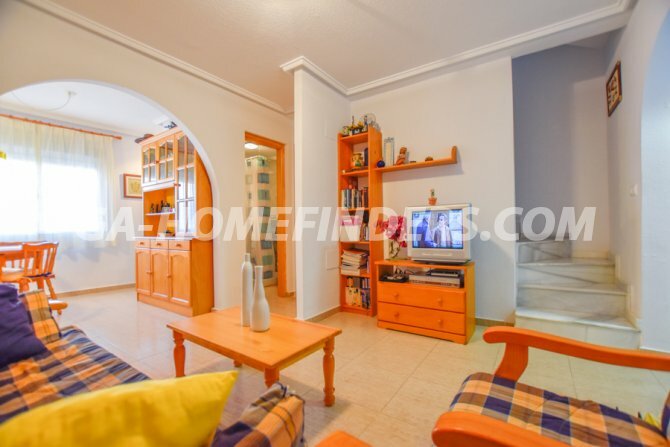 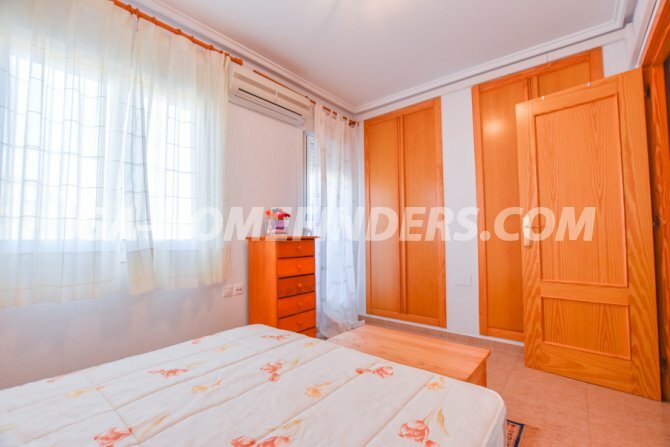 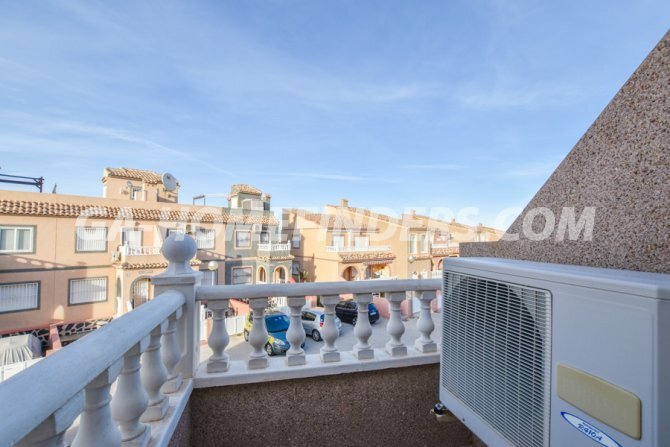 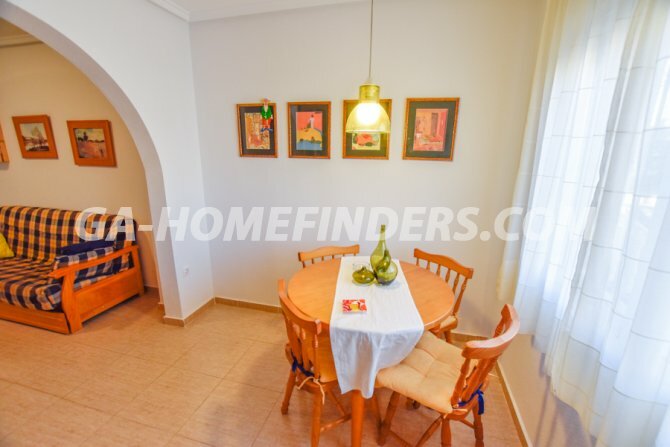 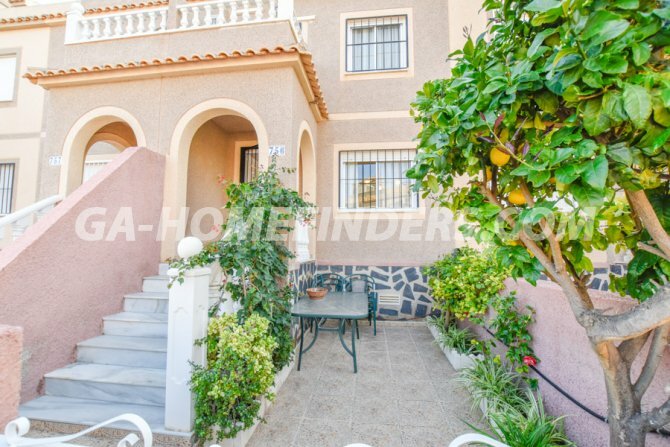 Furnished townhouse with 2 bedrooms both of which have built in wardrobes and one has a small balcony. 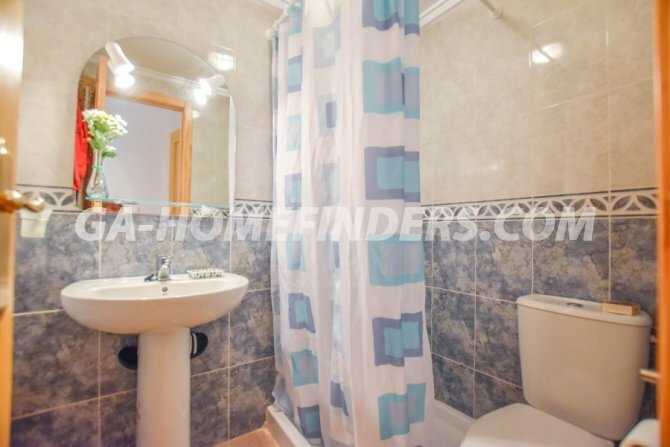 2 bathrooms, american style open kitchen with kitchen appliances, utility area, understairs storage room, blinds and grills on all the windows, air conditioning (hot and cold) in every room, solarium with views to the sea and mountains. 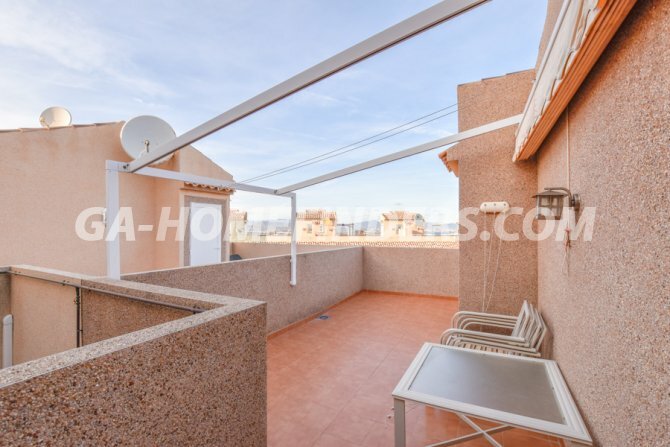 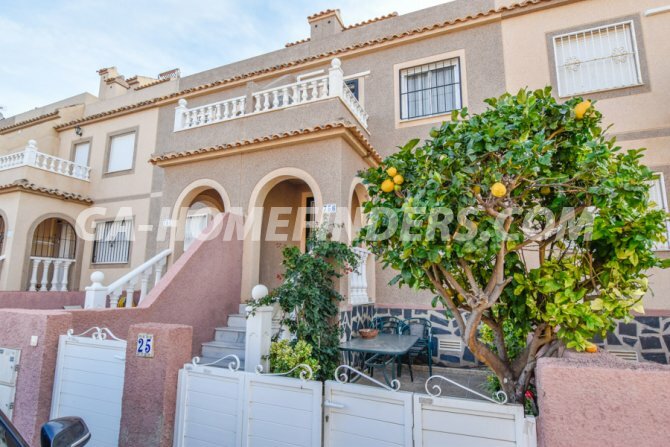 Conveniently situated on a wide road in the upper part of Gran Alacant in a quiet and well maintained urbanisation with a community pool surrounded by greenery. 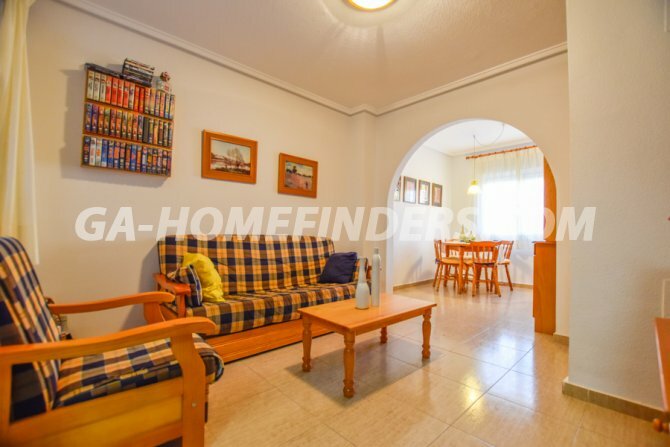 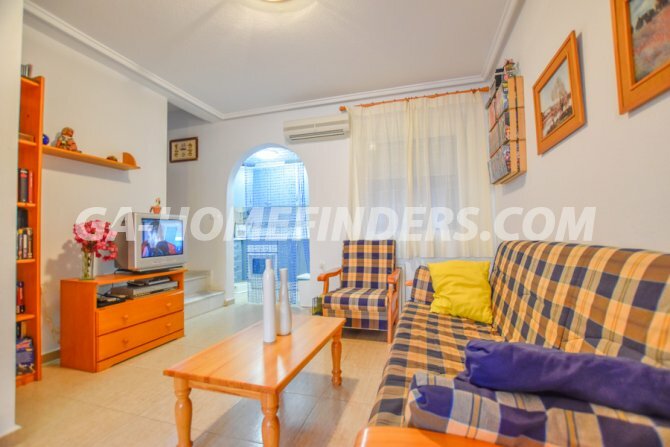 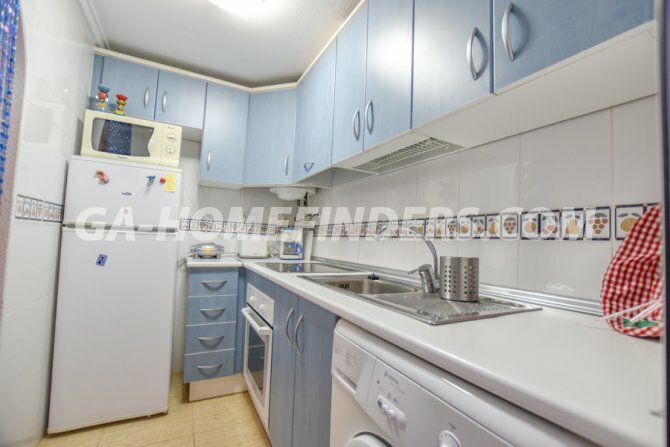 Close to the shops, restaurants, banks, local bus and train stop. 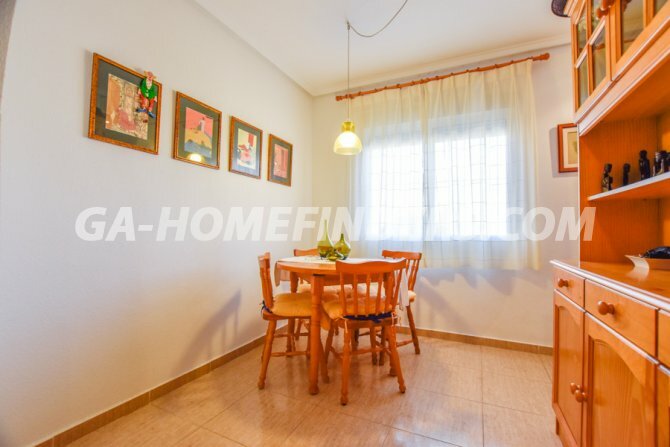 Walking distance to the Carabassí beach with all its facilities. 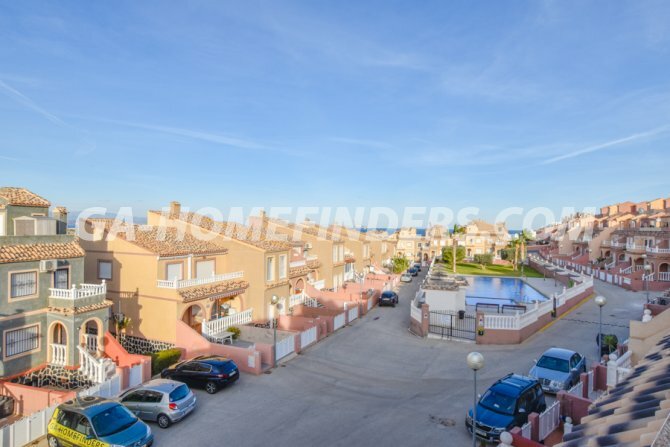 Just a few kilometres away from Alicante/Elche airport, the city of Alicante and the town of Santa Pola.